Every spring, TV networks engage in a traditional blood harvest of cancellations in order to ensure a bountiful harvest of press as they present their new fall lineups at their upfront presentations. 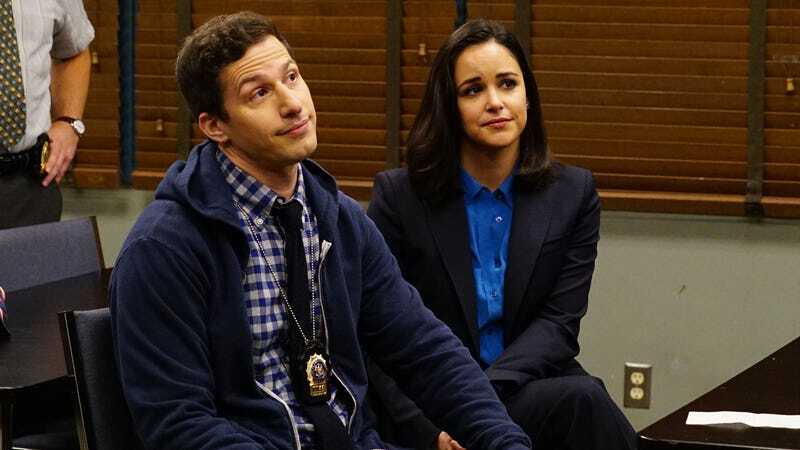 This year’s ritual sacrifice took place last week, seeing the cancellation of around 20 shows, most traumatic of which was the demise of Brooklyn Nine-Nine in its fifth season. Now, with B99 set for a midseason 2018-2019 return on NBC, Fox is addressing its decision to dump the casually progressive cop comedy and snuggle up with Tim Allen’s Last Man Standing instead. Walden shifted the blame onto the network’s decision to prioritize Bob’s Burgers by moving it into the primo post-Simpsons Sunday night slot, saying, “ultimately we decided we just didn’t have room for [Brooklyn Nine-Nine] and we’re really happy it’s found a new home.” We’re happy it’s happy, in other words. Speaking to Deadline by phone, NBC’s Bob Greenblatt was more blunt, saying of the decision to pick up the show after infamously passing on the pilot back in 2012: “We own it.” (Brooklyn Nine-Nine is produced by NBC’s sister studio Universal TV, and was being licensed to Fox.) He also added that, if NBC had known that Andy Samberg would end up starring in the series, it never would have passed on B99 to begin with. And with NBC currently reigning as the No. 1 network both in key demographics and total viewers, maybe, in the end, Fox’s “It’s not you, it’s me” really will be for the best.